Use these social selling tips to increase your mental energy and motivations and plan for the unexpected. 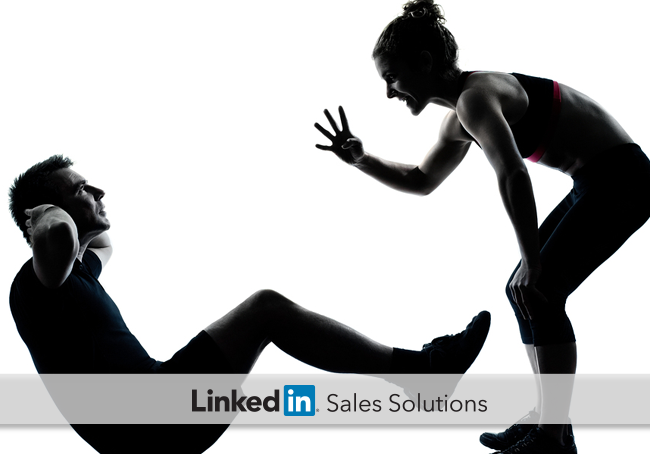 Are you working up a sweat just trying to decide where to focus your social selling energy? You’re not alone. In fact, many sales people find themselves between a treadmill and the free weights, trying to guess which is most effective at producing the biggest, best social selling muscles. Sound exhausting? It turns out, it is. Decision-making has been proven to deplete mental energy. In a series of studies, researchers found that after students were asked to make a series of decisions, they procrastinated more, struggled with complicated thinking and were less persistent. As a sales professional, you make dozens of decisions daily. Should you uncover more prospects or reach out to current leads? Should you call a lead, or focus on creating content that will show off your knowledge as an expert? Combat the energy-zapping effect of deciding which sales activities to spend your time on and pass your next social selling health-check with flying colors. How? Take the daily decisions out of your social sales process. Think about how you’re focusing in on the right prospects, staying informed about their activities and building relationships. What are the most effective ways to move your prospects toward becoming customers? List what works best for you – and your colleagues – and rank each activity in order of importance. Crafting a personalized presentation for a highly qualified lead is more effective than hosting a webinar for several lukewarm prospects. Using TeamLink to identify common connections gets better results than engaging with prospects in a group. If you know what sales activities work best, focus on those first. Plus, without the mental effort of making those decisions, you’ll have more brainpower to devote to selling. Creating educational content, sharing industry insights and getting referrals are all high-value ways to keep the pipeline healthy. However, when you get busy, it’s far too easy to put off publishing. During the first stage of your PLAN, you likely decided which sales engagement activities on LinkedIn were the best use of your time. Now set aside time each day to invest in them. Much like fitness, you’re better off doing a little every day than devoting an entire day once a month. As little as 30 minutes per day can make a significant impact in only 12 weeks. Selling is unpredictable. You might have the perfect sales strategy in place, and then the unexpected happens. Athletes use If/Then statements so they can quickly adapt to unexpected events without breaking a sweat. If a basketball team is behind with 2 minutes left in the game, then they know it’s time to start fouling and save time on the clock. If your sales pipeline drops below a certain amount, then focus on forming connections with your Lead Recommendations. If you reach your quota early, then devote time to engaging with the content published by your current clients to strengthen your relationships. Social selling always has an element of urgency. When you see a Daily Alert informing you a prospect has posted an update, joined a discussion in a group, or announced that they’ve started a new job, it’s tempting to act on it right away. But if you do this, you’re soon dashing madly from prospect to prospect with no chance to catch your breath. Make social selling sustainable by identifying what you feel needs responding to first, second, third. High Priority: Send InMail to reconnect when a past client starts a new job. Medium Priority: Answer question related to your expertise when posted by a prospect in a group. Low Priority: Comment when a current client posts a status update. With a clear picture about what needs a response immediately, and what can wait until later in the day, you can eliminate the stress of deciding in-the-moment, and the mad dash to respond to everything right away. If you are making decisions minute-to-minute instead of prioritizing, then you are making your brain work up an unnecessary sweat. Take the weight off your decisions by developing a P.L.A.N. for your social selling efforts.